When you buy a stock, there are two ways you can make money. The first is capital gains: you sell the stock at a higher price than you bought it. The second are dividends: the company pays you cash on a regular basis. Below, I explain the benefits of dividends and a few of their common pitfalls. 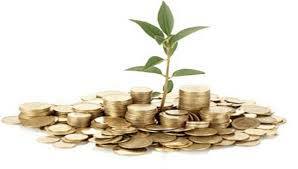 Nowadays, dividends are automatically deposited into your account electronically. You literally just have to wait for the cash to show up. Most dividend-paying U.S. companies pay every quarter. Of course, a stock price can fall below your original entry price, so selling a stock for a profit is no guarantee. However, whether the share price moves up or down, unless the company announces a dividend cut or suspension, the dividend is guaranteed as long as you are the shareholder of record on the record date. Based on the record date chosen by a company’s board of directors, the stock exchange sets the ex-dividend date (also called an “ex-date”). It’s usually set one trading day before the record date. For example, a stock with a record date on a Monday will usually have its ex-date set on the preceding Friday. 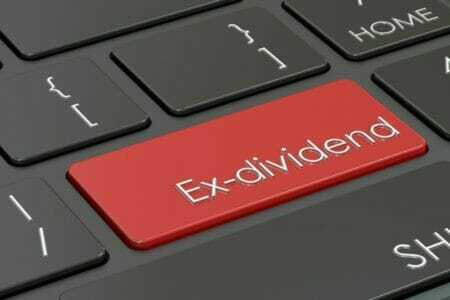 If you want to receive the upcoming dividend, you will need to purchase the stock before the ex-date. If you purchase the stock on or after that date, you will not receive the upcoming dividend. That dividend will belong to whoever sold you the stock since he or she was the shareholder of record on the record date. Dividends are income and Uncle Sam wants a cut. The IRS classifies a dividend as either ordinary or qualified. An ordinary dividend is taxed as ordinary income, while a qualified dividend is taxed at the long-term capital gain rate, which depending on your tax bracket is either 0%, 15%, or 20%. Dividends paid by certain types of companies, e.g. master limited partnerships (MLPs) and real estate investment trusts (REITs), are not considered qualified. One-time special dividends are also not qualified. Additionally, dividends paid by an IRS-approved company need to meet a holding period requirement. You must hold the stock for more than 60 days within a 121-day period centered around the ex-date. If stock XYZ’s ex-date is May 1, the 121-day period starts counting on March 2, 60 days before May 1, and ends June 30, 60 days after May 1. Accordingly, if you held the stock for at least 61 days during this period, you meet the holding-period requirement. For most people, dividends alone aren’t be enough income to live on. After all, even a $1 million portfolio yielding 3% will mean only $30,000 in dividend income. After taxes, you are left with even less. However, dividend income is still money. Every little bit can help pay the bills. You don’t expect young companies to pay a dividend because they tend to reinvest excess cash for growth. At this point, investors are usually okay with the company losing money if its revenue is increasing at a strong rate. When a company reaches a more mature stage where it should be profitable, though, it should begin to share some profits with shareholders in the form of dividend. Indeed, a continuous and growing dividend payout signals financial strength. It’s a sign that the company is in good financial shape and it’s confident that it will generate enough cash flow in the future to pay its dividend obligation without jeopardizing its financial health. A commitment to increasing its dividend is also a sign that the company expects its cash flow generation to increase. Beware, just because a company’s dividend history looks good doesn’t mean without a doubt that the company is doing well. You will have to study the company’s financial statements and analyze cash flow trends. You don’t want to invest in companies that have an attractive dividend but whose financial condition is worsening. Not only is the company likely to cut its dividend sooner or later, but its share price will likely fall. Stubbornly keeping its dividend at a high level when the money can deployed for more vital purposes is detrimental to a company’s health. A high dividend, if it’s not sustainable, can become what’s known as a “dividend trap.” The company could cut or even eliminate its dividend, leaving investors holding the bag. For a dividend to be sustainable, the amount paid out to investors must be well covered by the amount of cash coming into the business. How well the dividend is covered by actual cash is measured by the payout ratio. The lower the payout ratio, the more resistant a company’s dividend payouts will be to future declines in earnings. Dividends are a popular way to generate investment income, but if you’re looking for faster and more powerful methods of wealth-generation, turn to my colleague Amber Hestla. Amber is chief investment strategist of the premium trading service, Income Trader. She has a lot of experience in the canyons of Wall Street… and on the battlefields of Iraq. You see, Amber isn’t just an investment expert. She’s also a former Military Intelligence Analyst with the U.S. Army and an Iraq war veteran. Amber’s job was to sift through a mountain of military intelligence to pinpoint roadside bombs, to protect our troops. She uses similar analytical skills to sift through the white noise of the investment world, to pinpoint hidden investments that are about to explode on the upside. Amber’s followers are racking up unbelievable gains. Want to get onboard? Click here for a free demonstration.